If you use Black Oak Heritage Park in the far west end, there is a change to access you’ll need to know about. Starting on Monday, May 14th, access to the park and the Broadway Dog Park will only be accessible from Sandwich Street. 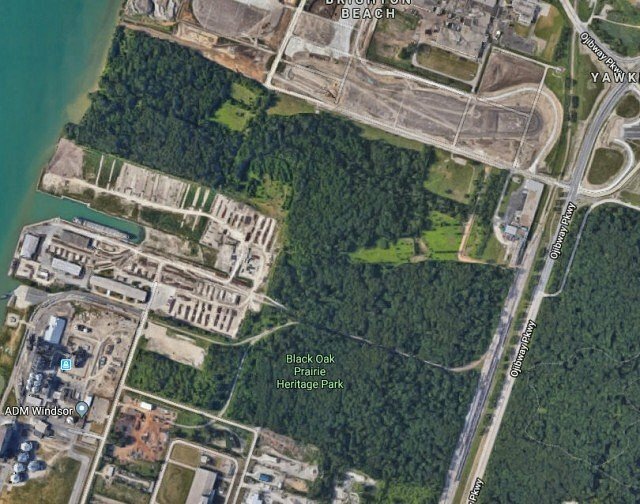 As part of the ongoing Gordie Howe International Bridge project, a temporary detour is required for park users, as well as businesses currently accessing Broadway Avenue, from Ojibway Parkway. A section of the road immediately west of the Essex Terminal Railway tracks and east of Ojibway Parkway requires paving. Through traffic will not be permitted on Broadway Avenue during this time. It is anticipated the closure will take four to six weeks.